Reports from BBC told that some illegal images of child abuse were found embedded in the Bitcoin Satoshi Vision (BSV.) A user managed to add these pictures with the help of a payment processor application called- ‘Money Button’ (which is partly funded by nChain.) The embedded abusive images were first seen at Bitcoinfiles.org. This website allows people to look through the list of messages and other information posted on the blockchain ledger. As the abusive images appeared on the website, police investigation started. Since then Bitcoinfiles.org has shut down its browsing services. On this matter, the payment system admitted that ‘its services had been used to post the illegal images’, as per BBC reports. The addition of the illegal data on the core ledger shows that we still have a long way to truly make the blockchain based products safer and impermeable. The users who committed this offense have been banned. In addition, the payment system has also added filtering systems in order to catch hold of any such future activity. The information about the criminals has been already passed on to the authorities concerned to take further action. 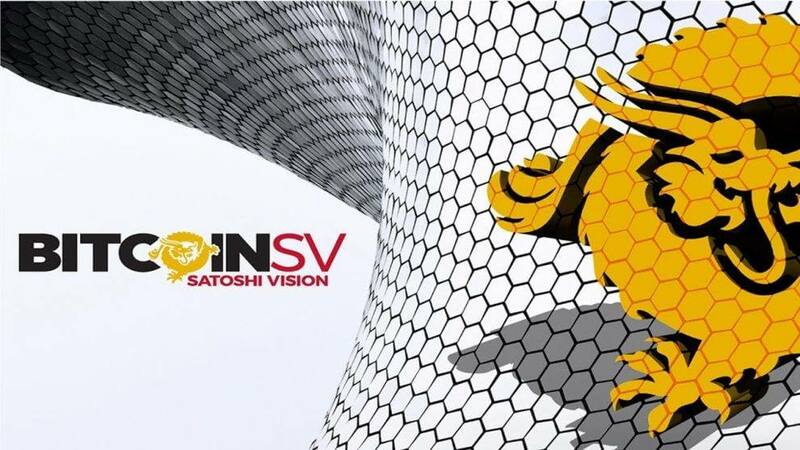 BSV core ledger records every single transaction, cryptocurrency sharing, along with related information shared among the users of the blockchain. It is surprising to see that someone could still dare and manage to upload illegal content despite crystal clear transparency, recording of every movement on the blockchain. This incident makes us turn to the warnings that the experts have been giving us about the growing rate of abuse at the blockchain level. The mathematical transparency of the blockchain technology helps in keeping a sharp tab on the transactions, and in return guard the users from any fraudulent transaction, or any kind of manipulations when it comes to account balance or sharing of the cryptocurrencies. On the other hand, the ledger of the blockchain technology doesn’t allow the users to make any changes to the blockchain easily since everything is so tightly interlinked. Still, last month there has been a massive increase in the amount f data and information added to the BSV Blockchain. Before January, the users were only permitted to add a small amount of data in the form of short text, or in the form of a web link. But currently, with the help of encoded format, one can add heavy files. In the eyes of the UK Laws, if anyone possesses indecent images of children, it is considered a serious offense. Further, if such content is distributed or shared can invite serious consequences such as long prison sentence. How should the community deal with this risk? We hope that the community starts to consider the problem of content insertion. We noticed individual posts and comments that discussed the phenomenon before our study, but the possible impact has been underestimated. As a short-term solution until more evolved countermeasures such as an advanced fee model is deployed, miners could reject “suspicious” transactions. We consider transactions “suspicious” if they have many outputs (at least 50, corresponding to ~ 1 KB of insertable data) that only spend very small amounts. These transactions are not likely to be economically feasible transactions. Still, such a solution bears the risk to reject legitimate transactions such that more evolved solutions are needed. What is the cost for content insertion? Could a malicious individual poison a blockchain to make it politically impossible to distribute it? A malicious individual can insert arbitrary content into Bitcoin’s blockchain, e.g., an image of Nelson Mandela that is already contained in the blockchain (roughly 21 KB in size) can be inserted at a cost of 380 USD today considering a market price of 8400 USD per Bitcoin. While the costs increase for larger documents, poisoning the blockchain is not prohibitively expensive today. Bitcoin (BTC), the Only Factor for Variations in its Peer Coins Network; Yes-No-Maybe ? Electroneum (ETN) Price Predictions: Will the Inconsistent Price Movement Episode ever End for ETN? Canada’s Leading Event for Data & Analytics Professionals on September 24-25, 2019!